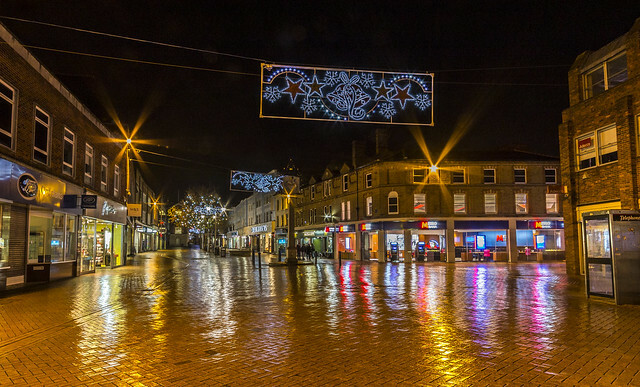 This beautiful market town certainly knows how to make the festive season very special for local residents and visitors, and will once again be pulling out all the stops to make this a Christmas to remember. The Ancient Flitch Market and local businesses will be hosting a free family Christmas Light Switch On event on December 2 from 3pm, with a special appearance from Father Christmas. Nikki Anthony, owner of the fashion boutique Wardrobe in the town, believes events like these bring people together, creating fun and an opportunity for everyone to explore what Great Dunmow has to offer. ‘The atmosphere is always brilliant and full of Christmas spirit,’ says Nikki. 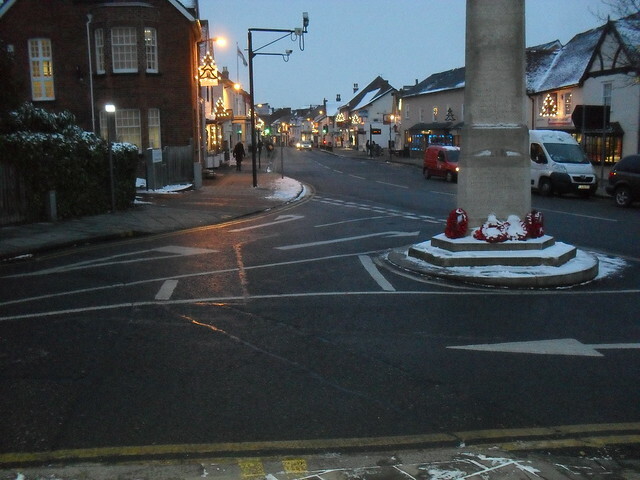 The High Street in Great Dunmow is one of the few remaining High Streets where the majority of shops are independents. There is a diverse assortment, from fashion and beauty to furniture and homewares, as well as your staples such as a chemist, stationers and butchers, which provides the perfect opportunity to get your Christmas necessities. Make Braintree a shopping day experience to remember by taking a drive in the country through idyllic villages and witness beautiful on your way to this colourful, bustling market town. From a designer shopping village to the region’s ancient history, it really provides plenty of opportunities for shoppers to buy special gifts for everyone this Christmas. Don’t miss The George Yard Shopping Centre, which offers a fantastic mix of high street names and independent boutiques, including fashion and everyday products, and is kicking the festive season off early by hosting its Christmas Light Switch On on November 18. Braintree Town Centre will also be having its own Christmas Light Switch On event on December 2 at 5pm and visitors are advised to expect lots of celebrations, including late night shopping opportunities, entertainment and special offers. This year Colchester is making Christmas even more magical than ever before with spectacular events, festive treats and its wealth of shopping opportunities for locals and visitors. Commencing on November 26, Colchester Presents’ Grand Light Switch On will be signalling the start of Christmas in the town. A day of festive fun not to be missed is planned, with Father Christmas riding into town to perform the Big Light Switch On, as Colchester revels in a carnival atmosphere of bands, choirs and street performers. Watch Santa ride into town at 4pm as he heads over to Fenwick for a new magical festive showcase full of surprises, staged just outside the store. As well as the centrepiece decorations of illuminated stars and baubles spanning the High Street, Head Street and Crouch Street, lights will be simultaneously turned on in Culver Square, creating a magical effect in the town’s main shopping areas to signal the start of Christmas. Mayor of Colchester, Cllr Gerard Oxford, explains why Colchester is a fantastic destination to visit this Christmas. ‘Colchester offers a wide range of first class historic, retail and entertainment venues for visitors to enjoy,’ he says. 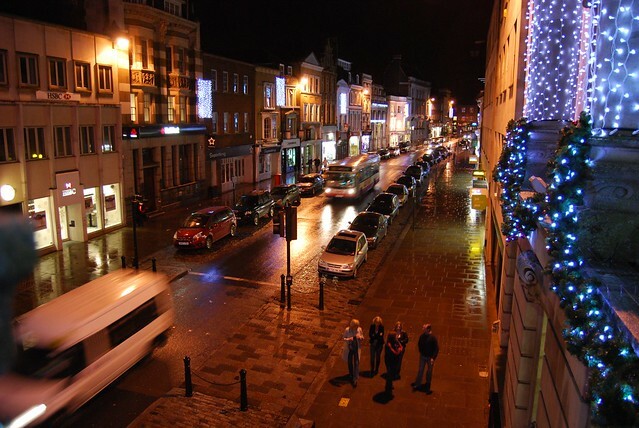 ‘It makes any last-minute dash to buy presents a whole lot easier with the opportunity for late night shopping in the town centre. 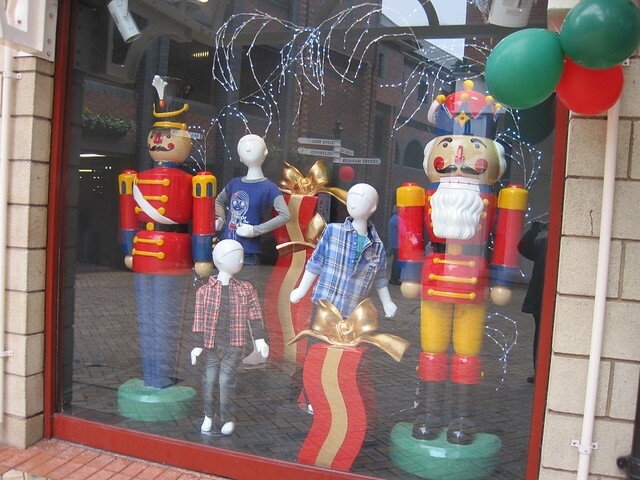 As our county’s only city, Chelmsford has so much to offer this Christmas season as it hosts a variety of ‘go to’ shopping destinations in the area. With so many events lined up for visitors and locals this year, and three shopping centres: Bond Street, The Meadows and High Chelmer, Chelmsford provides an ideal opportunity to source the perfect gift this Christmas. Chelmsford’s festive season starts with its annual Christmas Light Switch On event on November 26, which always proves to be a success year after year – stay tuned as there are lots of announcements to made very soon. The city is holding some of the best Christmas entertainment around this year and all visitors and residents are invited to join them in celebrating this wonderful occasion. If you fancy taking a break from the shopping, there are fantastic opportunities to have fun with all the family, including Bond Street Christmas Grotto from December 1 and an ice rink opening in The Bowl from December 12 to January 7. 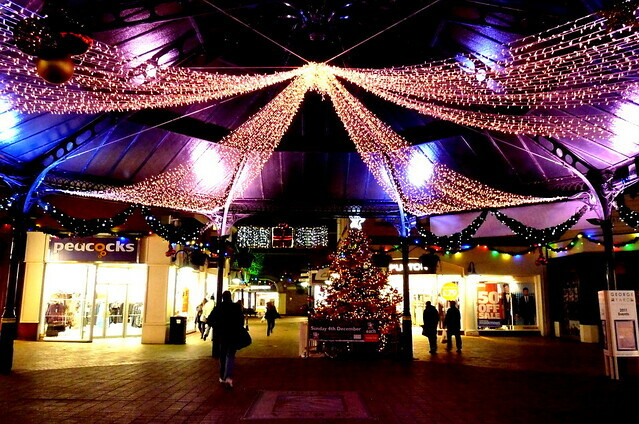 There is also going to be an extra street market in the High Street trading every day from December 4 until Christmas. This will offer a huge range of items, gifts and other treats for shoppers. Plus enjoy a special concert arranged by Farleigh Hospice when hundreds of people are expected to attend on December 8 in the High Street. Saffron Walden is a picturesque medieval town, boasting a rich heritage of historic buildings which reflect its wealth as a rural market stop. It offers an array of activities for visitors and local residents to do and see over the festive period. To begin the Christmas celebrations, the town will be hosting its annual Christmas Light Switch On event on December 1, with the mayor and Father Christmas making a special appearance during the ceremony at 6pm. The day will see an annual evening of fun, with shops remaining open until 8.30pm, the all-day-late-night market in King Street/Market Place from 9am to 8.30pm, charity stalls lining the central streets, entertainers, Father Christmas in his grotto and a Christmas Gift Fair in the Saffron Town Hall, all in aid of the mayor’s charities. Nevertheless, if you fancy a break from all those Christmas present pressures, head to Audley End House and Gardens with family and friends for something special. From December 15 to 23, the gardens of the decadent Jacobean mansion will be bathed in dramatic illuminations, with strings of lanterns laced through the boughs of trees and fairy lights twinkling behind leaves to lead visitors along an enchanting trail into a magical wonderland. 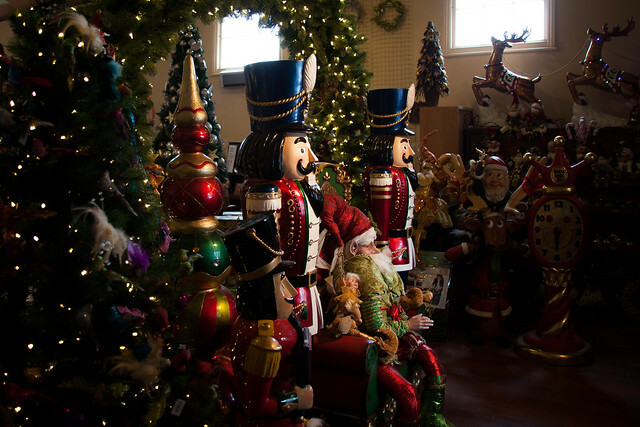 And the experience doesn’t end when the trail does, with a traditional fairground, mince pies, mulled wine and Christmas shopping at a heritage-inspired shop all to enjoy. Mark Starte, duty manager at the Saffron Walden Tourist Information Centre, believes this is the place to be this Christmas. ‘Saffron Walden has a unique charm, reflected in its varied architecture and many listed buildings. It also has fantastic community spirit with many groups working together to create exciting and dynamic events. Discover the charming and beautiful town of Maldon this Christmas, which is packed with independent shops and timeless history, making it more than just a shopping experience. November 30 is when the magic happens for the district. Maldon will be holding a Vintage Christmas event, starting at 6pm, with late night shopping, a street market, choirs, music, hospitality hosted by a variety of local shops and competitions. Local radio station, Saint FM, will be putting a range of entertainment on from the big stage, located near All Saints’ Church on the High Street, and Santa and his reindeer will be making an appearance. This is followed at 7pm by the chance to watch the Town Mayor of Maldon turn the Christmas lights on. With more than 100 shops and businesses in the High Street, its mix of independent boutiques, high street brands and specialist shops makes it easy to get that ideal gift you have been looking for. So make a day of it and take time to explore the hidden gems that Maldon has to offer.